**Sandals are from Revere Shoes. 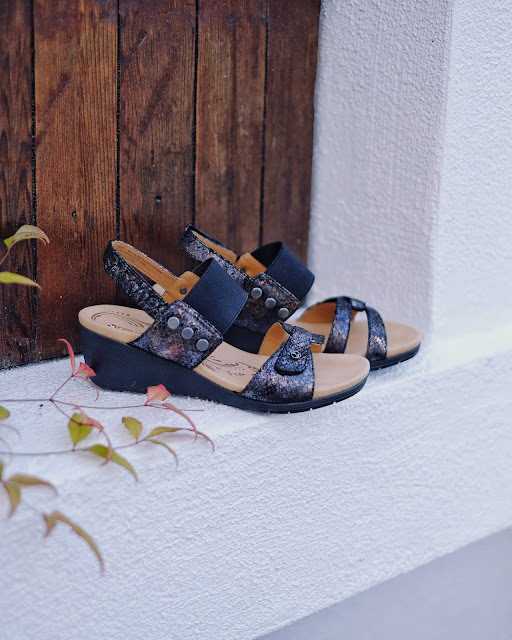 Have you ever bought those pretty although pricey branded sandals not just because you love the style and fit at first, but you also had the hopes that since it's a pair from a known brand and with its pricey cost, they should be as comfortable as you're expecting them to be? I did!.. a lot of times. and I must say, they were not always comfortable on the feet. Sadly, that's the usual trend nowadays on most shoe brands - pretty and pricey but not necessarily made with quality to bring comfort when worn! But Revere Shoes has proven "not" to be in that same league. 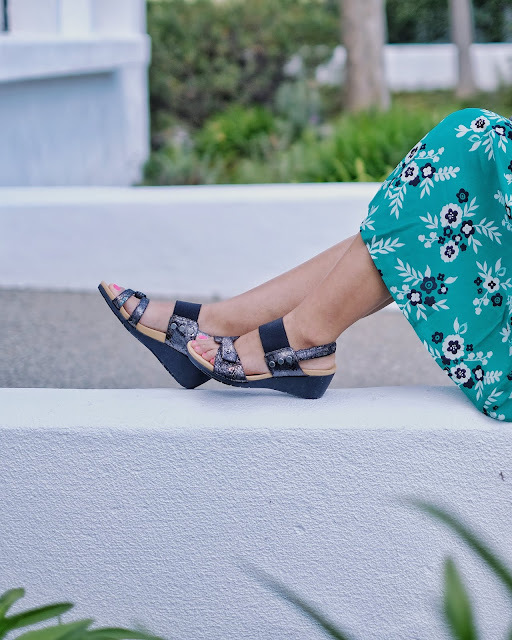 I got the Tahiti Wedge Sandals in metallic python leather (that costs $139.95) and I definitely can attest to its quality and comfort - making them totally worth the price cost. 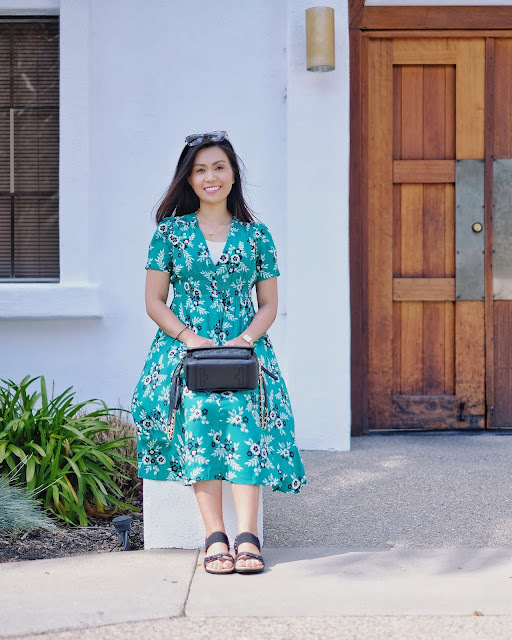 I love walking and I incorporate it with everything that I do daily (even on my small breaks at work), so comfortable shoes are a must on my daily need and style, and I am loving how this pair of sandals are meeting that demand, "effortlessly" ! I can walk and stand for long periods of time with these without complaining! (My husband particularly knows how bad I complain if my feet are uncomfortable with my shoes, so he too is in relief with me wearing these! LOL) I also love the simple, classic yet trendy style and details of these sandals that make them wearable in different occasions. 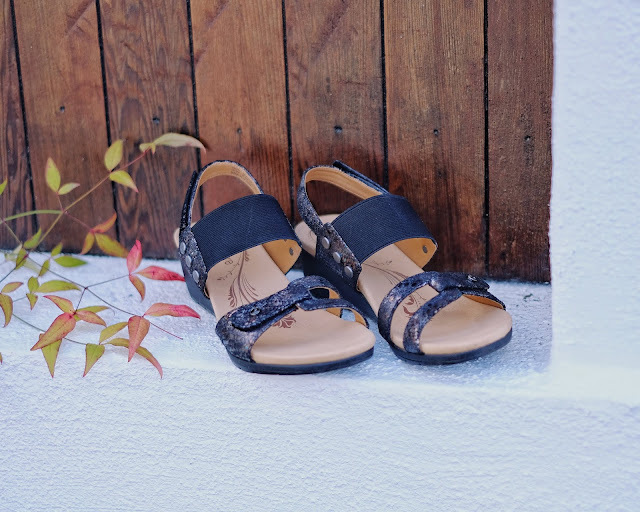 The heels' height is perfect for comfort and styling purposes and the back strap is very helpful with overall balance and fit of the sandals with my feet. The Revere Shoes vision of beautifully-crafted, high quality comfort footwear came to life on Australia's Gold Coast. It all started with a dream to create a sublime sandal: one that would provide the support and stability of a comfort shoe while harnessing the spirit of carefree summer style. Since 2012, revere Shoes has grown to include stylish footwear for all seasons and occasions. And yes, even just owning one pair from this brand, I must agree to this statement 100%. If you ask me to describe this brand in simple words, I would say "comfort", "quality" and "style". 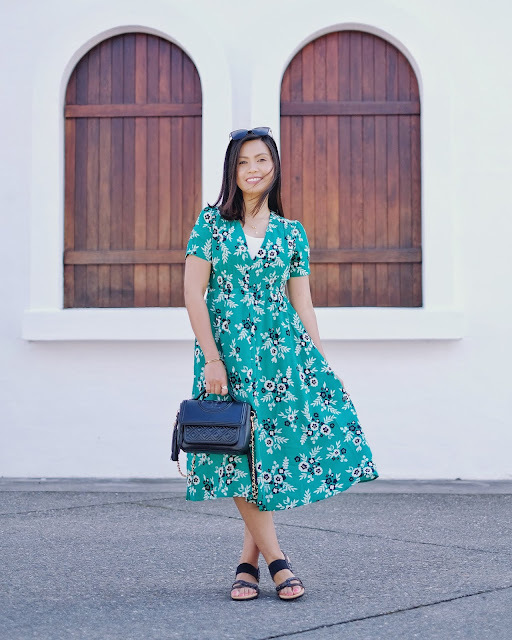 If you're a comfort and stylish shoes lover just like me, I would recommend checking Revere Shoes collection and find that perfect match for you! Thank you everyone for your support on reading my posts! 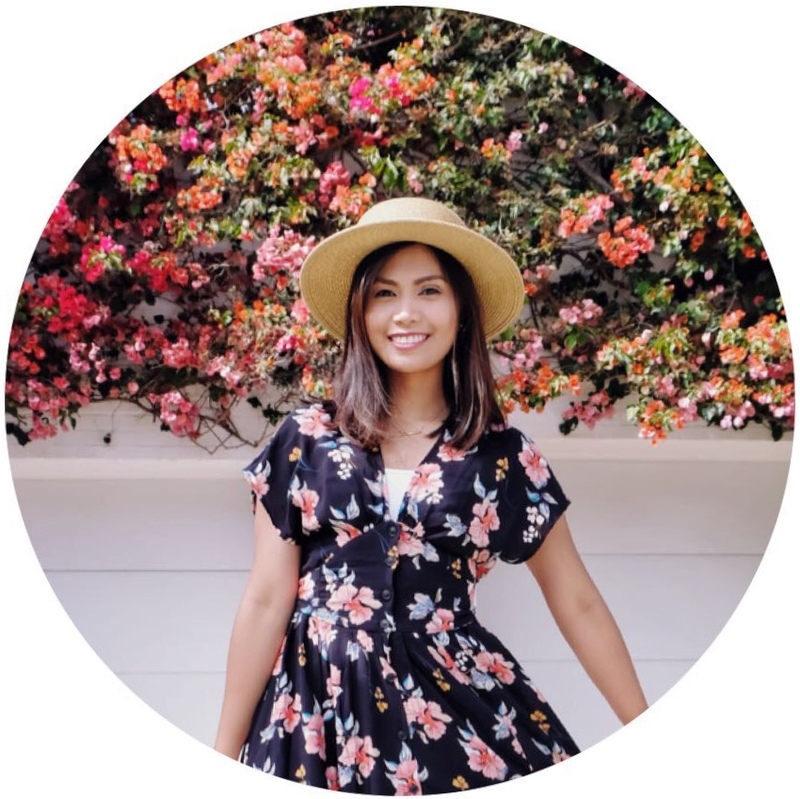 Much more is coming up on the blog these coming up months, so stay tuned!